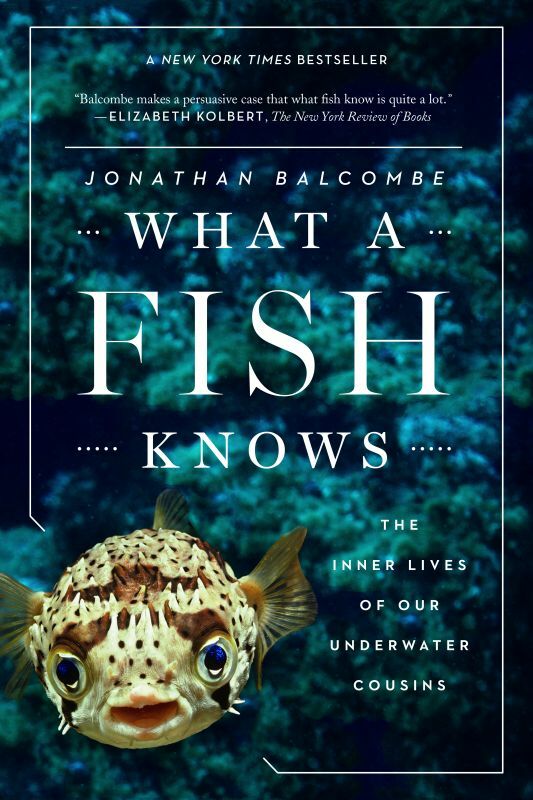 Editor’s note: The following is an excerpt from What a Fish Knows: The Inner Lives of Our Underwater Cousins by scientist and author Jonathan Balcombe. Do fishes feel pain? While it may seem obvious to some of us that they do based on their appearance, their behavior, and their membership in the group of vertebrate animals, many people believe otherwise. I am only aware of limited opinion research on this question, such as a survey of North American anglers and other recreational fisheries stakeholders, which found that slightly more believed fishes feel pain than believed they do not, and a survey of New Zealanders that had a similar result. The question of whether fishes experience pain is of cardinal importance—recall those astronomical numbers of fishes killed by humans, from the prologue. Organisms that can feel pain can suffer, and therefore have an interest in avoiding pain and suffering. Being able to feel pain is not a trifling thing. It requires conscious experience. An organism may move away from a negative stimulus without any experience of pain. It could be a reflexive response in which nerves and muscles cause the body to move without any mental engagement. For example, a heavily sedated human patient in a hospital setting with no capacity to experience pain may nevertheless recoil in response to a potentially harmful stimulus, such as exposure to heat or intense pressure. This is due to the actions of peripheral nerves working independently of the brain. Scientists use the term nociception to describe a reflex that in itself involves no awareness or pain. Nociception is the first stage in pain sensing—necessary but not sufficient for the experience of pain. It is only when information from nociceptors is relayed to higher brain centers that it hurts. There are some good reasons to expect that fishes are sentient. As vertebrates, they have the same basic body plan as mammals, including a backbone, a suite of senses, and a peripheral nervous system governed by a brain. Being able to detect and learn to avoid harmful events is also useful to a fish. Pain alerts animals to potential damage that may lead to impairment or loss of life. Injury or death reduces or eliminates an individual’s reproductive potential, which is why natural selection favors the avoidance of these dire outcomes. Pain teaches and motivates animals to avoid a noxious past event. I have an assignment for you that might provide some insight on the question of whether fishes are consciously aware and thus capable of pain. Go to a public aquarium. Choose a tank. Spend five minutes watching the fishes in there. Look long and hard. Look closely at their eyes. Watch the movements of their fins and their bodies, keeping in mind what you now know about their vision, hearing, smell, and touch. Choose an individual. Does he pay attention to other fishes? Do you see any organization to his movements, or does he appear to be just randomly swimming about as if on autopilot? If you do this, you will usually see nonrandom patterns of behavior. You’ll notice a tendency for fishes to consort with others of their own kind. You will see—especially in larger fishes with more easily watched body parts—that their eyes are not locked into a fixed stare, but swivel in their sockets. If you are especially patient and observant, you’ll note idiosyncrasies expressed by indi- viduals. For example, one fish might appear dominant over another, giving chase when the subordinate transgresses some social or physical boundary. Some individuals may be more adventurous, others more shy. When I was little, I didn’t pay much attention when gazing at “fish” in a tank. I wasn’t looking at other beings—only at swim- ming creatures with shapes and colors. Gradually I began to watch fishes more closely, and they became more interesting. Now, when I linger in front of the glass wall that separates two universes of life, I notice that there is pattern and structure to their swimming, and organization to their social lives. Even in a small tank, which is a poor substitute for the complexity of a natural habitat, fishes usually have favored areas to swim or rest in. It was 1989. I was snorkeling leisurely back to the sailboat anchored in the crystal-clear waters off the northeast coast of Puerto Rico when a four-foot-long grouper and I caught sight of each other. He was so close I could almost have reached out and touched him. His entire left side shimmered in the sunlight. I stopped flapping my fins and froze. We both remained immobile, suspended barely a foot under the surface, looking into each other. As I drifted with the current, his large eye moved in its socket, locked to my gaze for perhaps half a minute, which seemed an eternity. I don’t remember who moved away first, but as I climbed back on the boat let it be known that a fish and a woman had been aware of each other. Although I have looked into the eyes of whales since, I still feel this fish’s presence the strongest. When I watch what fishes do—swimming through the water, chasing one another, coming to one end of an aquarium to be fed—my common sense emphatically tells me that they are conscious, feeling creatures. It goes against my deepest intuition to think otherwise. But common sense and intuition do not a science make. Suggestions that finfish [fish that are not shellfish] responses to pain merely represent simple reflexes have been refuted by studies demonstrating forebrain and midbrain electrical activity in response to stimulation and differing with type of nociceptor stimulation. Learning and memory consolidation in trials where finfish are taught to avoid noxious stimuli have moved the issue of finfish cognition and sentience forward to the point where the preponderance of accumulated evidence supports the position that finfish should be accorded the same considerations as terrestrial vertebrates in regard to relief from pain. Neural circuits supporting behavioral/electrophysiological states of attentiveness, sleep and decision making appear to have arisen in evolution as early as the invertebrate radiation, being evident in insects and cephalopod mollusks (e.g., octopus). The neural substrates of emotions do not appear to be confined to cortical structures. In fact, subcortical neural networks aroused during affective states in humans are also critically important for generating emotional behaviors in animals. The absence of a neocortex does not appear to preclude an organism from experiencing affective states. Translation: you don’t need a big, convoluted humanlike brain to feel excited about food or scared of predators. Now you may be thinking: Bravo, you clever scientists, for coming up with a new way to demonstrate that you are the last ones to recognize what common sense already told us is patently obvious. As the psychologist and author Gay Bradshaw declared: “This is not news, it’s Science 101.” But it also speaks to the challenge of accepting a phenomenon (consciousness) that is fundamentally private, and to the historical reluctance of science to fully embrace it in anything other than a human. 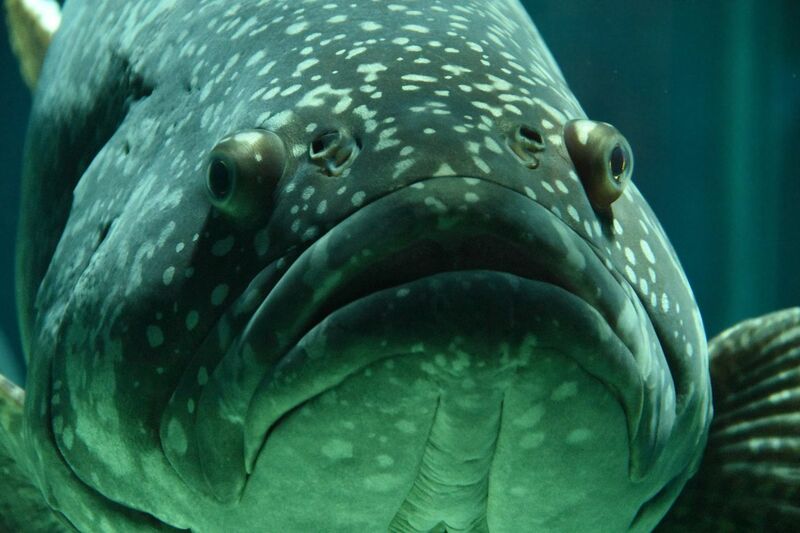 Fishes show the hallmarks of pain both physiologically and behaviorally. They possess the specialized nerve fibers that mammals and birds use to detect noxious stimuli. They can learn to avoid electric shocks and anglers’ hooks. They are cognitively impaired when subjected to nasty insults to their bodies, and this impairment can be reversed if they are provided with pain relief. scalpels, syringes, or small foil heaters. Not only is scientific consensus squarely behind consciousness and pain in fishes, consciousness probably evolved first in fishes. Why? Because fishes were the first vertebrates, because they had been evolving for well over 100 million years before the ancestors of today’s mammals and birds set foot on land, and because those ancestors would have greatly benefited from having some modicum of wherewithal by the time they started colonizing such dramatically new terrain. Also, it is likely that fishes’ ancestors evolved consciousness because fishes today have abilities that are consistent with their being conscious and sentient. Excerpted from WHAT A FISH KNOWS: The Inner Lives of Our Underwater Cousins by Jonathan Balcombe. Published in June 2016 by Scientific American / Farrar, Straus and Giroux, LLC. Copyright © 2016 by Jonathan Balcombe. All rights reserved. Previous Post Why Are These Sloths Wearing Tiny Backpacks?